"The Conners" are officially back -- minus Roseanne Barr. Add Roseanne as an interest to stay up to date on the latest Roseanne news, video, and analysis from ABC News. ABC released the first set of photos from the spin-off show set to premiere next month. "The Conners" was officially green-lit weeks after Barr posted a racist tweet directed at former Barack Obama senior adviser Valerie Jarrett, which resulted in the immediate cancellation of her hit show, "Roseanne." 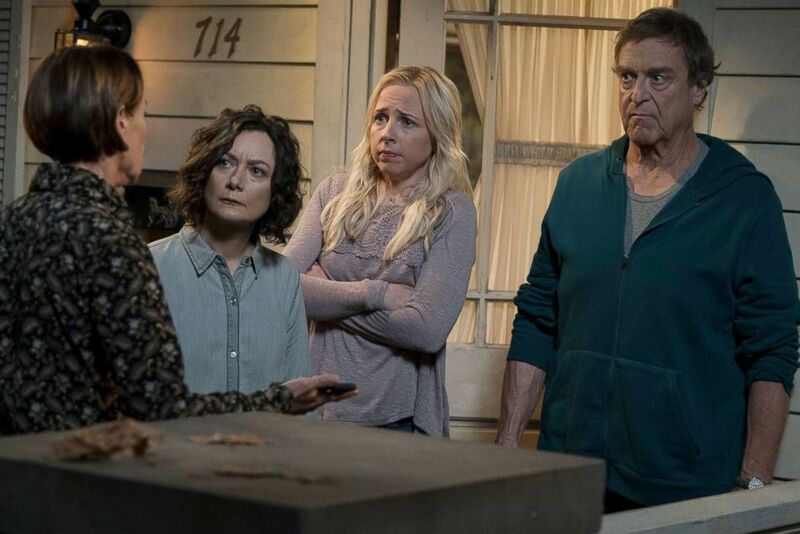 In one photo, John Goodman, Laurie Metcalf, Sara Gilbert and Alicia Goranson look dismayed and serious. A scene from "The Conners." In August, Goodman, who played Barr's husband, said he believes Barr's character would be killed off in the new show. "I guess he’ll be mopey and sad because his wife’s dead," he said. "[But the Conners] love each other very much and that’s what gets them through, the humor and the love." ABC has not commented on Goodman's prediction and no description of the photo was provided. In another pic, Gilbert and Metcalf are in the kitchen, smiling and chatting. 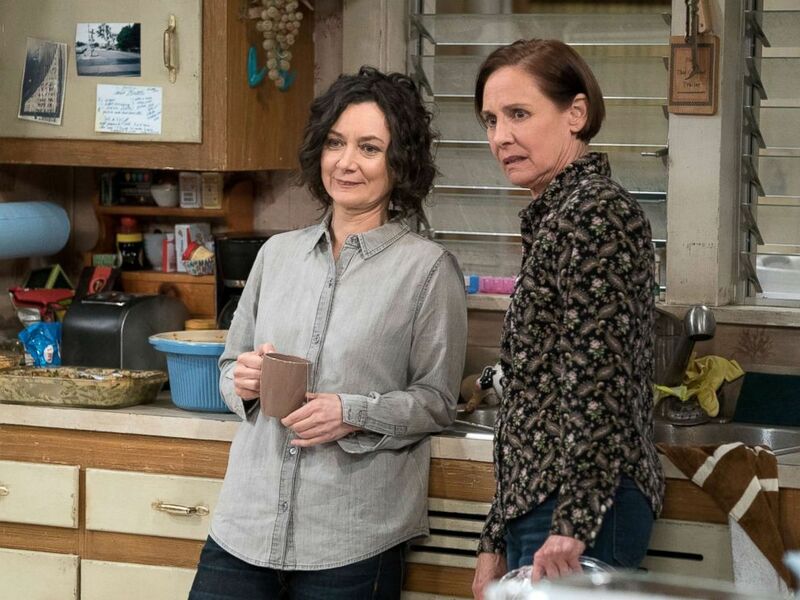 Sara Gilbert and Laurie Metcalf in a scene from "The Conners." Finally, in the third picture, Gilbert and Goranson are at the kitchen table laughing. 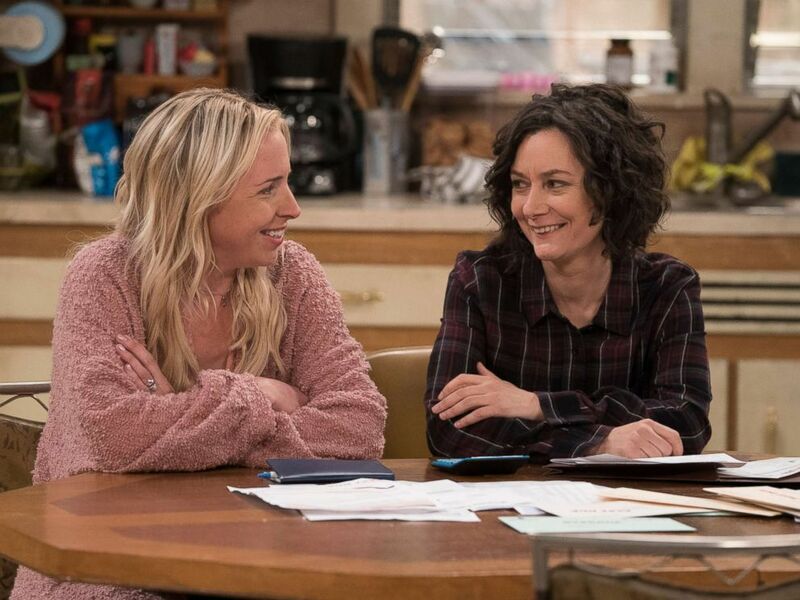 Lecy Goranson and Sara Gilbert in a scene from "The Conners." When asked about the spin-off earlier this month, Barr said, "I'm not gonna curse it or bless it, I'm staying neutral. It's what I gotta do." She added that she will not be watching the premiere next month. Instead, she will be going to Israel to study her faith with some of her favorite teachers. "I have saved a few pennies and I’m so lucky I can go," she said. "The Conners" is set to air Oct. 16 on ABC.